There are 4 shops proposing this game for download at an average price of $ 14.66. World of Warcraft is the dominant MMO, and possibly the dominant game of the PC, or maybe of any system. I started WoW because I was a fan of the world beforehand. I was already a long time Blizzard fan and played the previous Warcraft real-time strategy games. I was intrigued at where the story would go. 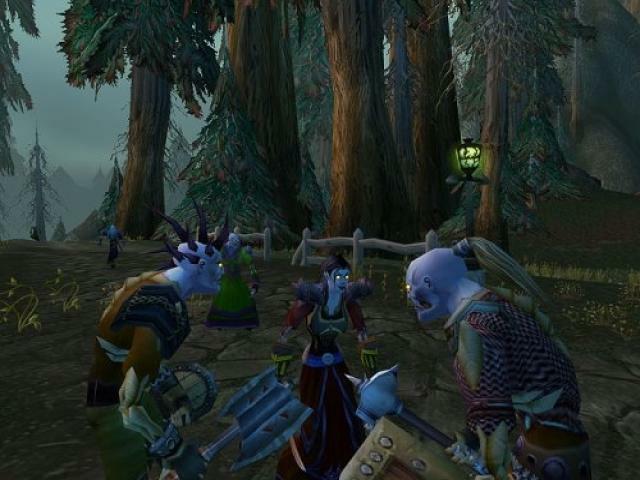 When WoW first came out, it revolutionized the MMORPG genre by "fixing" many of the complaints that players had in the previous reigning champions like Everquest and Ultima Online. Every class can go solo, every class has more to do than one signature move, the graphics engine can be easily upgraded to keep up with the competition, and the expansion packs add material for all levels of gameplay, not just more and more "end" content. It's very friendly to players who are new to the genre. If you've never played an MMO before, it's intuitive to learn. If you're not sure, the game has gone free to play with its first expansion pack up to level 20. That will be more than enough time to decide if you want to go further.